An award-winning luxury development in Edinburgh is finally offering house-hunters the chance to snap up its leading property – the eagerly sought after show home. The Bishopsgate, a stunning four bedroom townhouse located at CALA Homes’ outstanding Albert Dock development, is set for a swift sale, following sell out of all other homes on the Edinburgh development. The former show home offers shrewd buyers the chance to purchase a property featuring bespoke interiors selected by top designer, Luma Interiors, therefore removing the stress of choosing the colour scheme while offering the reassurance that the stylish interiors were conceived by experts. Featuring contemporary CALA design, The Bishopsgate, is set over three storeys and is situated on the corner of the Ocean Drive development, offering idyllic, panoramic views across the dock. The waterside home is characterised by spaciousness and light, with flexible living areas and generous windows throughout. Perhaps the most attractive allure of the must-see property is that it comes with a selection of specially hand-picked soft furnishings, boasting exceptional flooring, window dressings and light fittings. Sarah Stanger, Sales and Marketing Director for CALA Homes East, urged anyone interested to view the lucrative property as soon as possible, after the whirlwind sales success at the multi-award winning Albert Dock development. She said: “This is a last chance, one of a kind property in an ideal Edinburgh location – the popular ‘Shore’ area of Leith. “The show home has been beautifully designed to continue the 2015 property trend of open plan living. The main downstairs feature room flows out into Albert Dock, connecting the interior to the exterior and creating even more space for the buyer. “This repeats again upstairs, with French doors which can be fully opened out onto a free standing, private-decked, sun terrace – perfect for enjoyable summer evenings with friends and family. 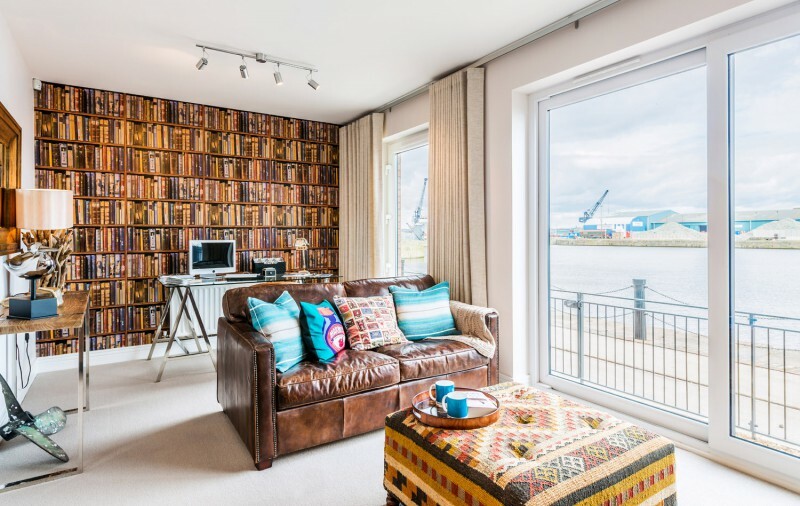 “It is a truly not-to-be-missed purchase opportunity, particularly as the former show home includes select décor and soft furnishings, which are not available with the other Albert Dock properties. It also has car parking space for two cars – something that is not widely available in city centre homes. 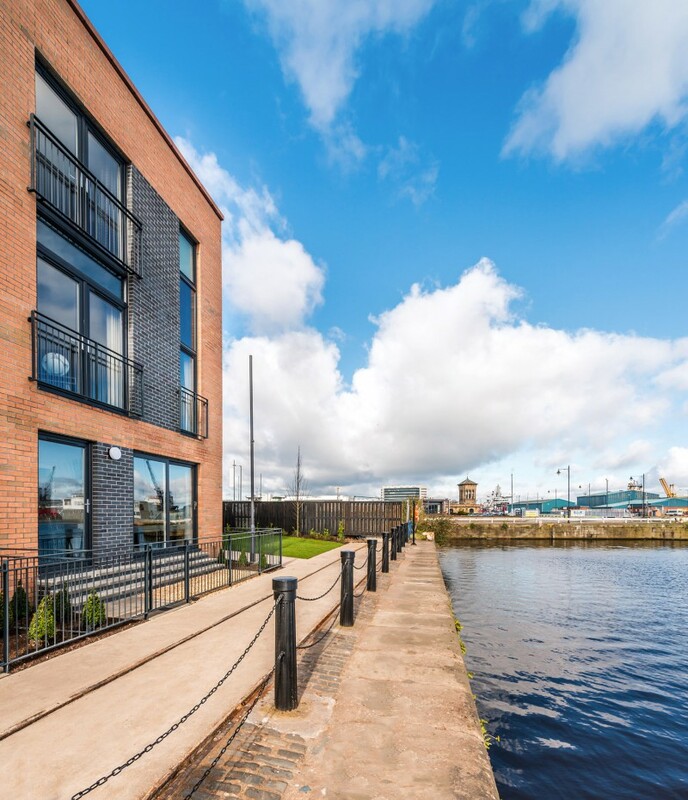 CALA Homes’ Albert Dock site, in Leith, secured the accolade for “Best Large Development” (26 plus units) at the Homes For Scotland Awards last month, marking the second time the site achieved a top industry nod in less than six months; it previously won Gold in the Best Brownfield category at the What House? Awards in 2014. The development was specifically designed to bridge the gap between the industrial working dockside at Leith and the vibrant community of the Shore – providing a gateway to the local area which is brimming with the history of its manual labour, warehouses and shipping heritage. More specifically, CALA aimed to connect the proud industrial heritage to the thriving contemporary setting of Leith in 2014. Those who are interested in more information on the Bishopsgate show home at Albert Dock are encouraged to visit the development’s official website.